Mark Sudduth and I made the long trip from Wilmington, NC. 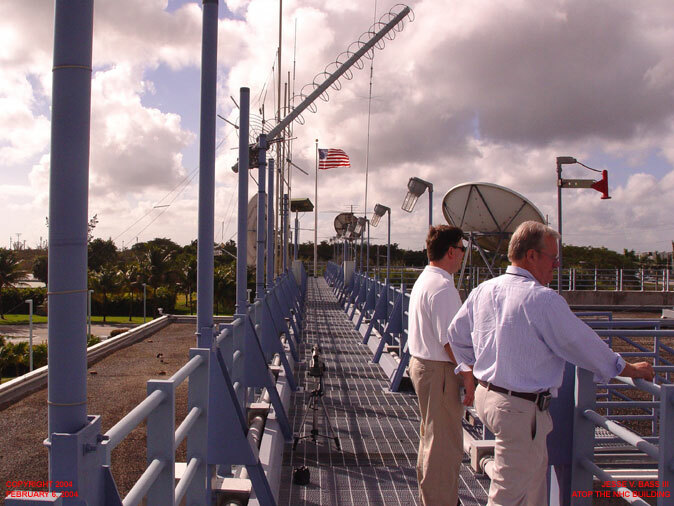 to Miami, Fla. to meet with the director of the National Hurricane Center, Max Mayfield and researchers from the Hurricane Research Division on February 6, 2004. Then on February 7th we attended the 9th Annual Amateur Radio Conference. We were asked to come down and speak to the Radio Conference about our work over the past few years and to show video and a slide show of our work. Before we did that, we sat down with Max and interviewed him for the following season. 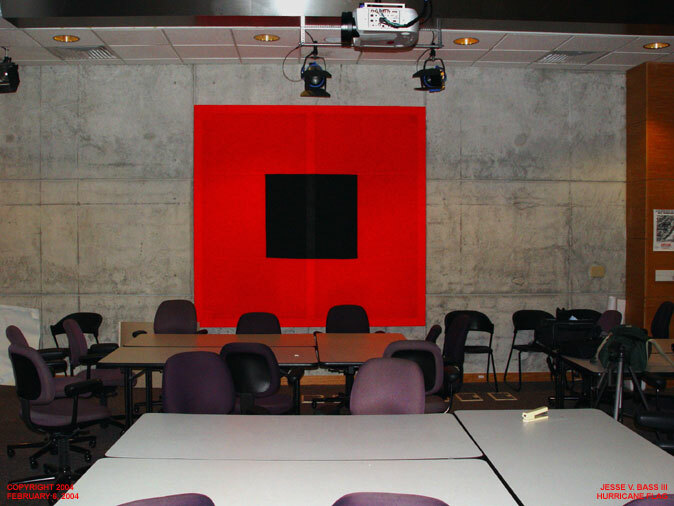 We also made a trip to the Hurricane Research Division and show our work to the great folks there. Here are some photos from the trip with a description of each photo. 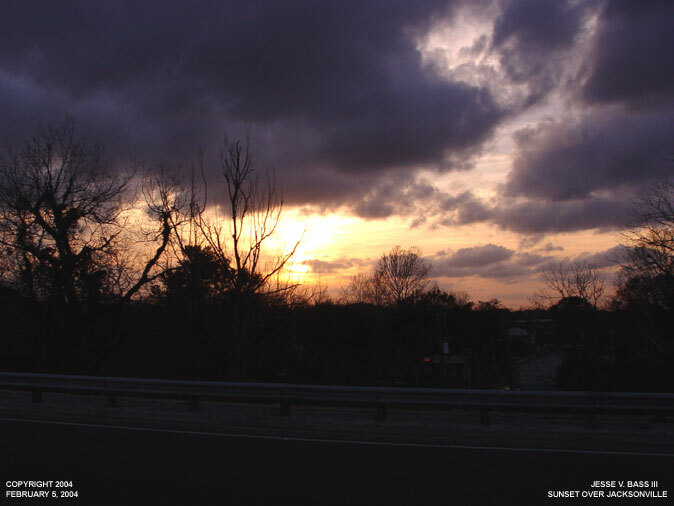 These two photos were taken just off I-95 in Jacksonville, Fla. Just a beautiful sunset to see as we headed south. 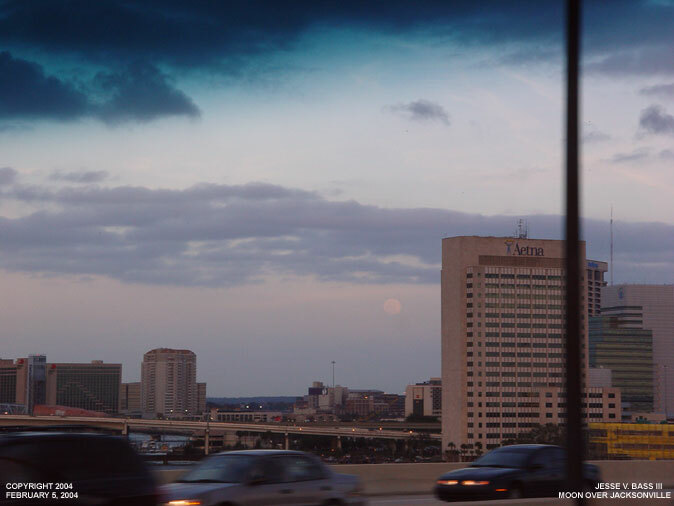 This is a shot of an almost full moon rising over downtown Jacksonville. 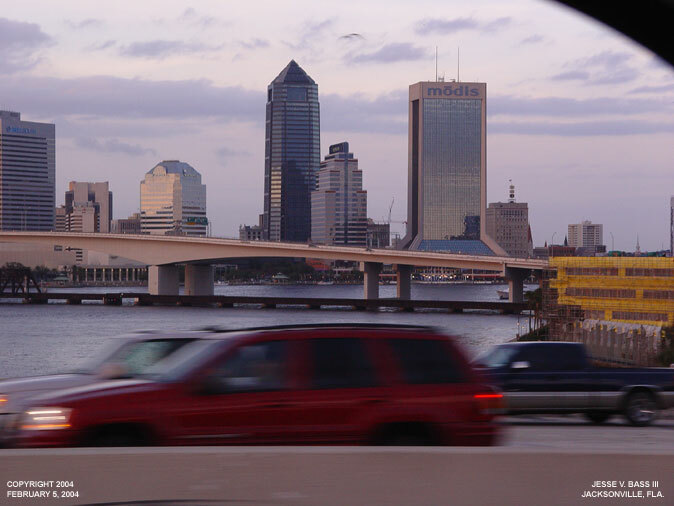 This is just another shot of the downtown Jacksonville area. 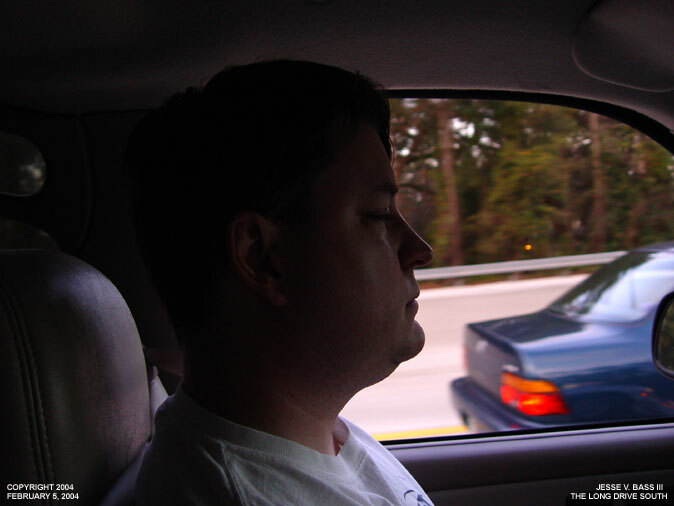 This is what you look like when driving for almost 500 miles at this point. These three photos were taken from the roof of the NHC. We were accompanied by Public Affairs Officer Frank Lepore. 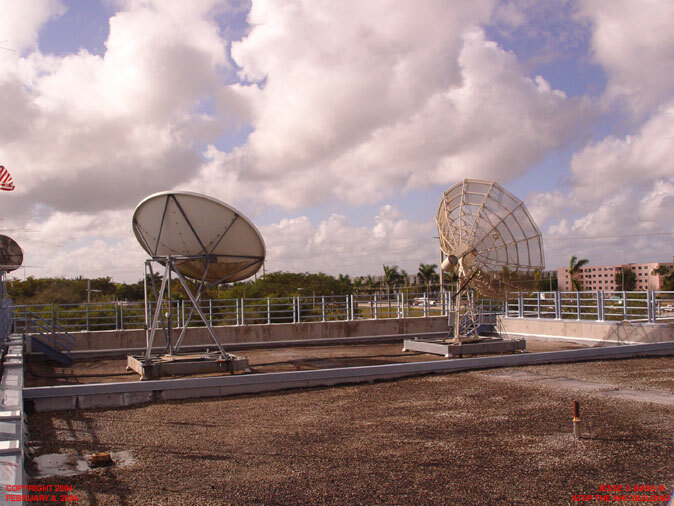 You can see just a few of the satellite dishes that help the forecasters send and receive data. 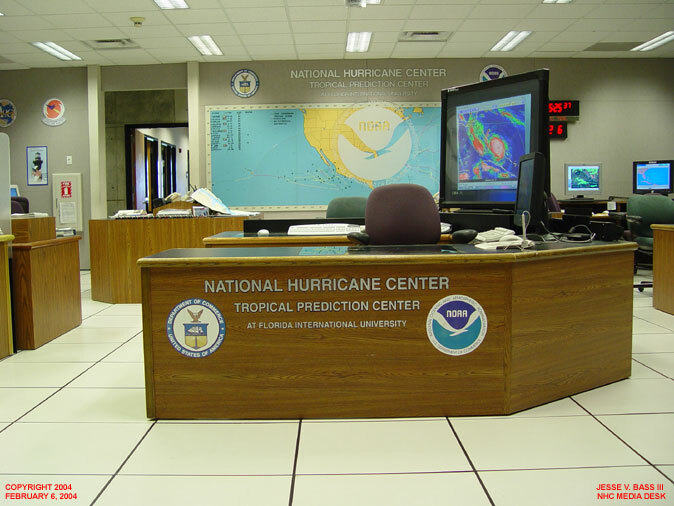 This is the media desk at the NHC. This is the area where one of the forecasters or the director Max Mayfield does T.V. interviews during an approaching and or landfalling hurricane. 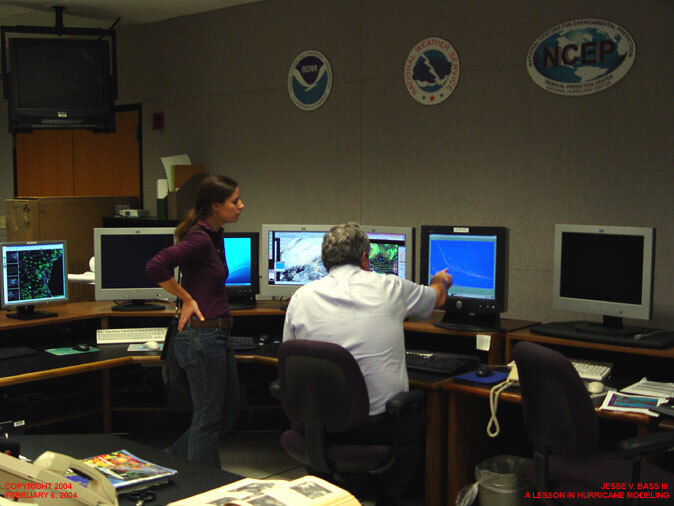 This desk was quite busy during Hurricane Isabel. 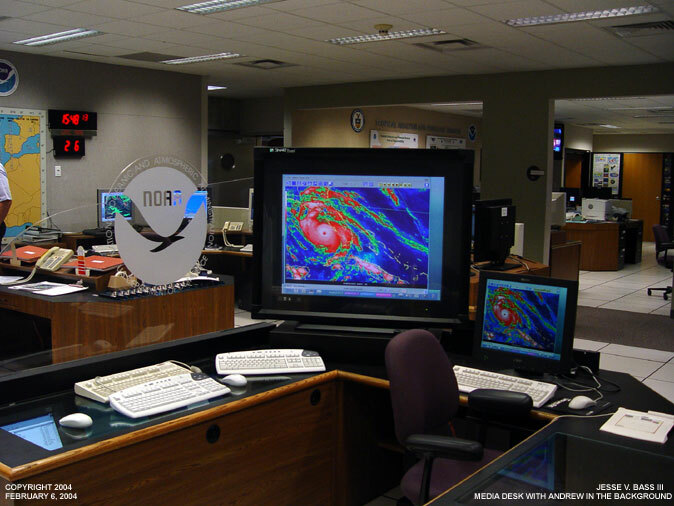 Here is a wider view of the media desk and part of the forecast room. As you can see in the background, there is the large wall sized tracking map showing all the tracks of named storms for the Atlantic and the Eastern Pacific. Here you can see the conference room just off the forecast room. This is where the "HAM" Radio Conference was to be held on Saturday the 8th. A student form "OU" Oklahoma University was getting a lesson in how to read the hurricane computer models from Richard Pasch, one of the forecasters at the NHC. 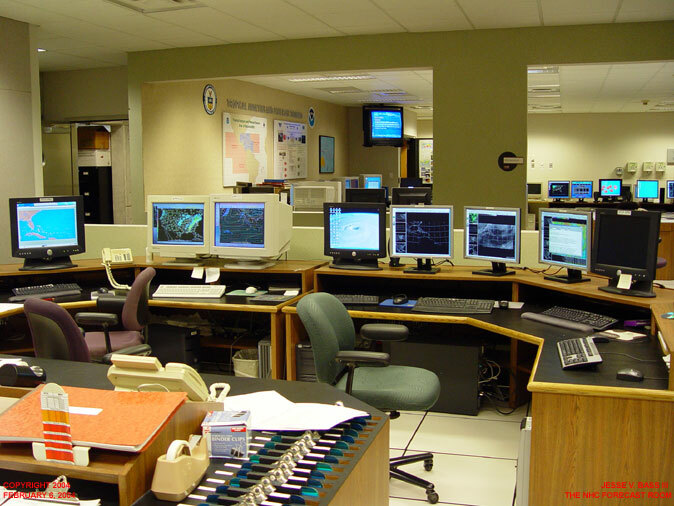 As you can see here the forecast room is outlined with tons of computers all receiving different info from satellites and reporting stations as well as the latest model thinking of where the storms could go. 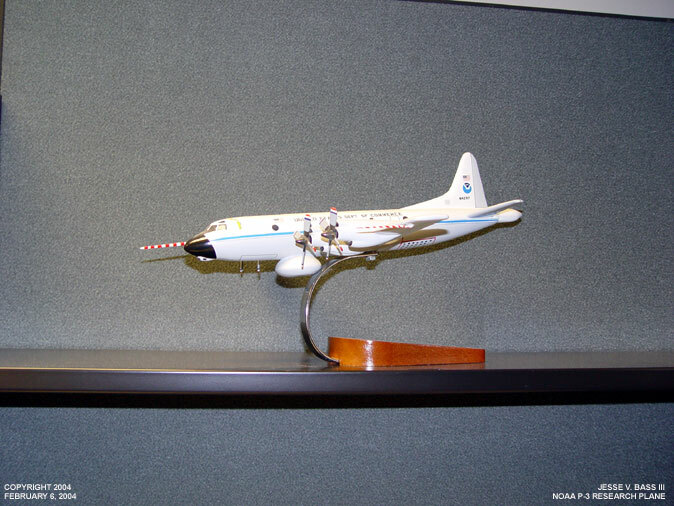 In an office just off the forecast room, there were some replicas of the aircraft that fly into and around natures worst storms. This is the NOAA Gulfstream IV which is a high altitude jet that the researchers from the Hurricane Research Division sample the environment around and sometimes above the hurricane. This the infamous drop windsonde. This is the instrument used during recon missions to see just how strong the tropical storm or hurricane is. 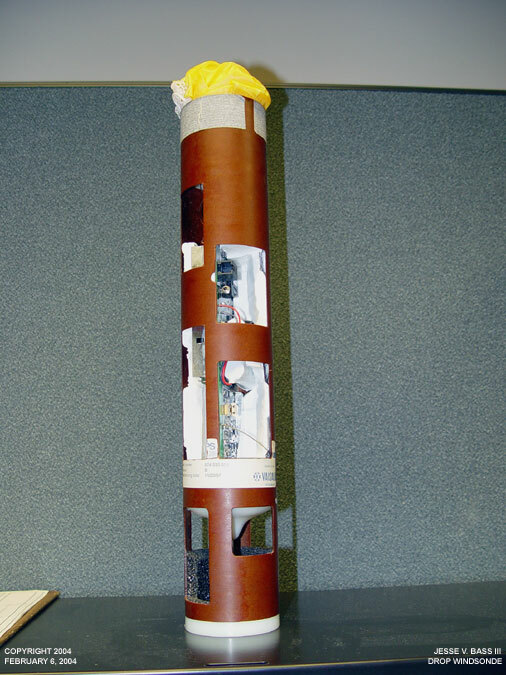 It is launched from the plane through an ejection tube and drops through the storm on a parachute and it transmits the data back where it can be gathered and read before the next advisory is written. 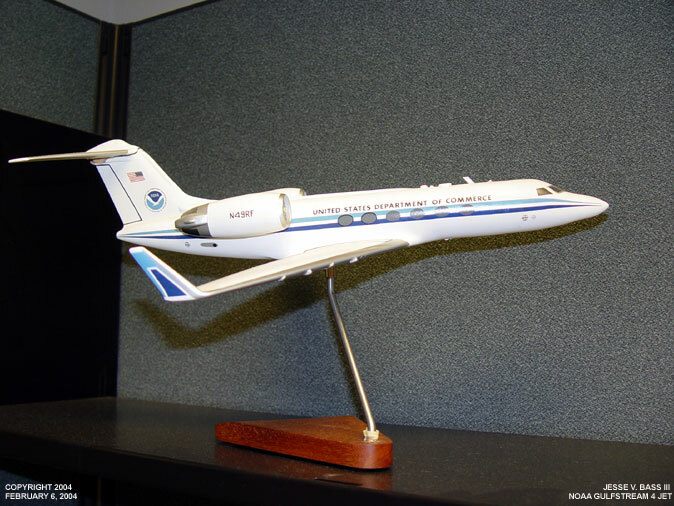 Next is the NOAA P-3 aircraft which is another aircraft that the research division uses out on their missions. They take this aircraft right through the heart of the storm and into the calm eye where they use the windsondes to determine the wind speed along with the temperature and dew point within the eyewall as well as the eye of the storm. And this is perhaps the best known aircraft in the weather world. 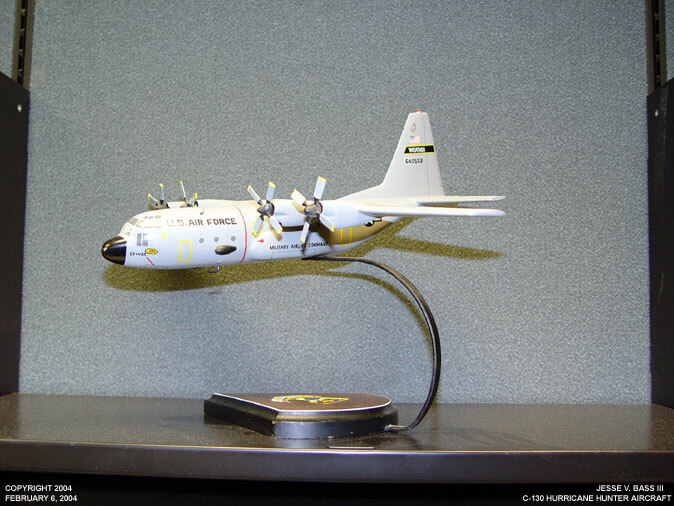 This is the Air Force Reserve Hurricane Hunter "C-130". Most times when you hear about the latest recon data from the teeth of the storm, this is generally where it comes from. 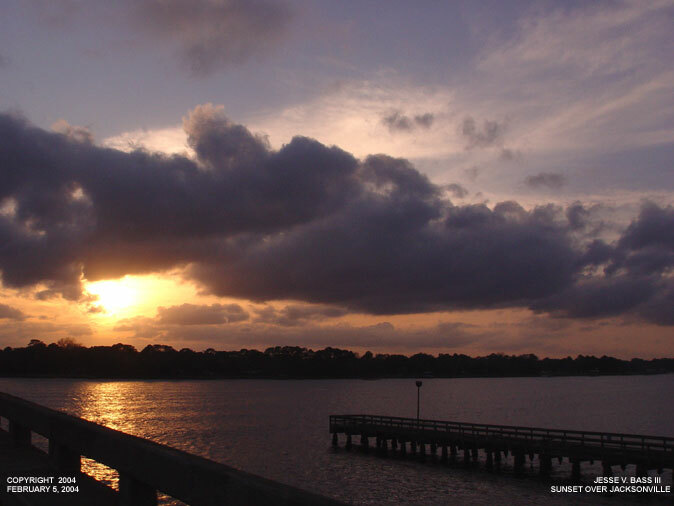 These guys fly out of Keesler Air Force Base in Biloxi, Miss. and the flights all started back in 1944 as a barroom dare. But the first flight into a tropical cyclone was done in 1943 by Maj. Joe Duckworth in a single engine plane. 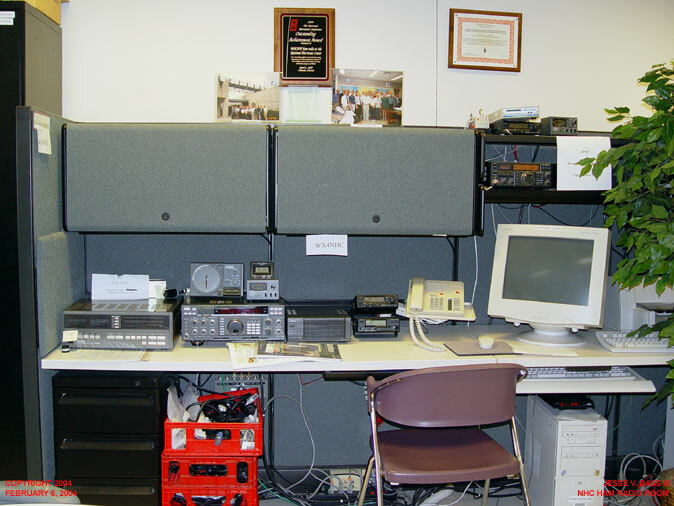 Here is the "HAM" radio room just off the forecast room. 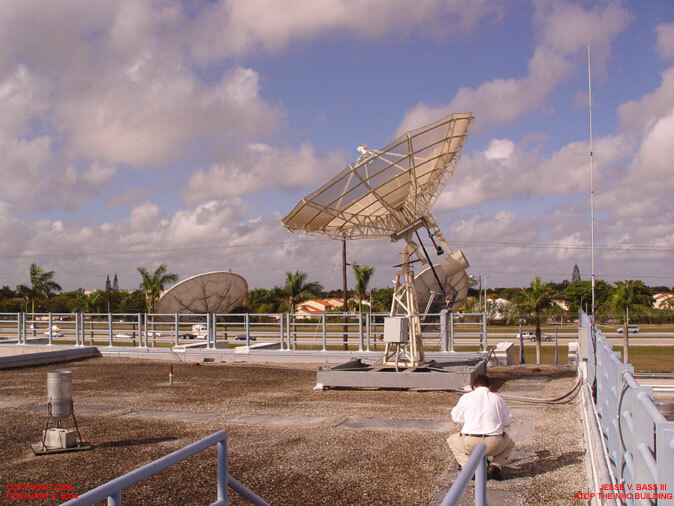 This is where the amateur radio information is received from along the U.S. coastline, Mexico and the many islands that line the Atlantic basin. This is also where the email reports come in from other sources that may not have a ham radio. 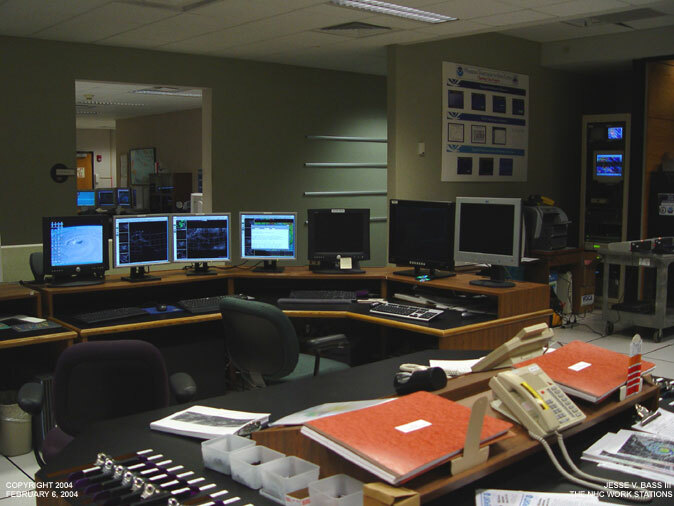 This is where our reports come when we send the data colected to the hurricane center. They print it out, and take it to the forecasters to look over when making their next advisories.